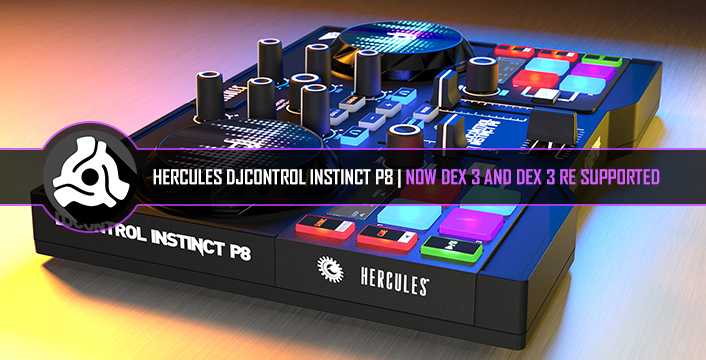 Take control over DEX 3 or DEX 3 RE DJ programs with the Hercules DJControl Instinct P8 controller. Fresh out of the PCDJ Batcave comes zero-configure DEX 3 and DEX 3 RE support for the Hercules DJControl Instinct P8. All included features are mapped for your plug-and-play pleasure. 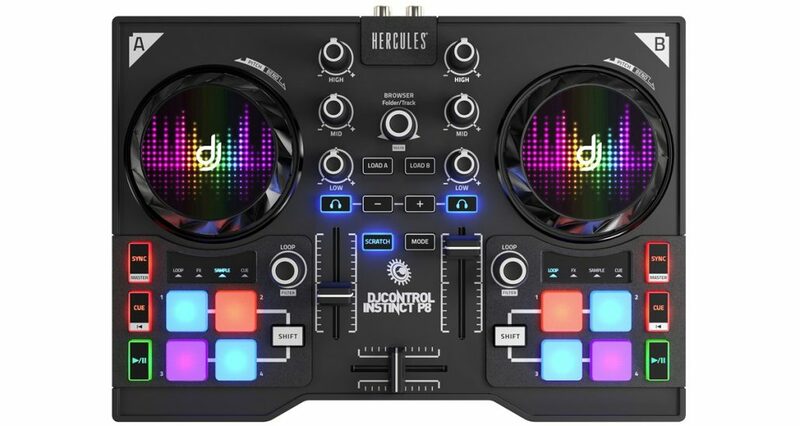 The Hercules DJControl Instinct P8 is a portable, inexpensive controller designed for casual DJing. A colorful, entry-level option for beginner DJs and bedroom jocks that you can throw in a backpack and setup with DEX 3 or DEX 3 RE at a birthday or house party. It’s also fairly rugged for the price, with most sites listing it at only $129 (USD). 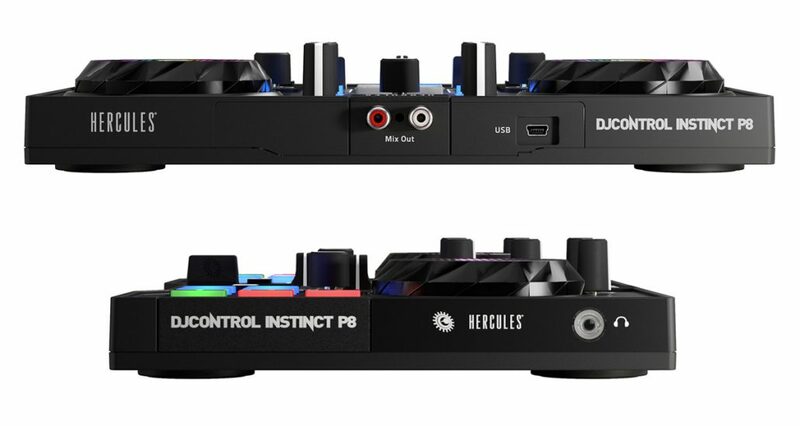 The map for Hercules DJControl Instinct P8 is already included with the installation of DEX 3 or DEX 3 RE version 3.7.5 (or higher) – so all DJs need to do in order to connect is open up the DJ program while the DJControl Instinct P8 is connected. We are happy to present our brand new DJ Controller: The DJControl Instinct P8! 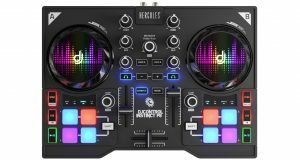 This controller is a supercharged version of the previous and beloved DJControl Instinct controller with more features and a set of performance pads! Compact, tough and full-featured, the DJControl Instinct P8 allows you to mix and remix with unrivalled ease! Combined with the latest version of DJUCEDTM 40°, the DJControl Instinct P8 provides a complete experience, from mixing to performance! Its 8 ergonomic and responsive pads, combined with DJUCEDTM 40°’s multilayer sampler, let you remix according to your creativity, while offering precise performance and high-quality feel. The intelligence of the DJUCEDTM 40° DJing software lets you keep the rhythm and the structure of tracks intact, no matter what you’re doing. All the mixing and remixing features are right at your fingertips. Sample packs by Loopmasters also included! The DJControl Instinct P8 is also compatible with all DJ software open to MIDI mapping as VirtualDJ Pro, Cross & Cross DJ, DJAY Pro, etc..
DJ Headquake has posted on Vimeo his VJing creations performed in VirtualDJ Pro with DJControl Instinct. Naija video mash up July/Aug.2013 feat.Threat king, Timaya, selebobo, j martins , lola rae toni tones from DJ headquake. See DJ Headquake video mixes here.